Great economy package for sports teams and teen parties! When applicable, one additional pizza and pitcher will be added for each four additional guests. “Guests” includes birthday child and any children or adults who receive a play card. No charge for parents not playing. Make your party a THEME PARTY! You choose the theme… We’ll do all the work! Watch for New Themes Coming Soon! 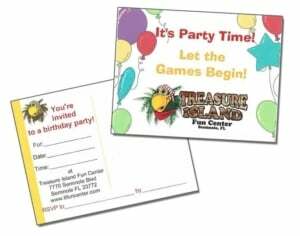 Special pricing available only with a birthday party package. A $50 non-refundable deposit is required to reserve any party. For parties cancelled 7 days in advance, a certificate in the amount of the deposit will be issued, good toward any party package for up to one year. 7% sales tax added to all party packages, platters and add-ons. Dates and times limited. Themes subject to availability.